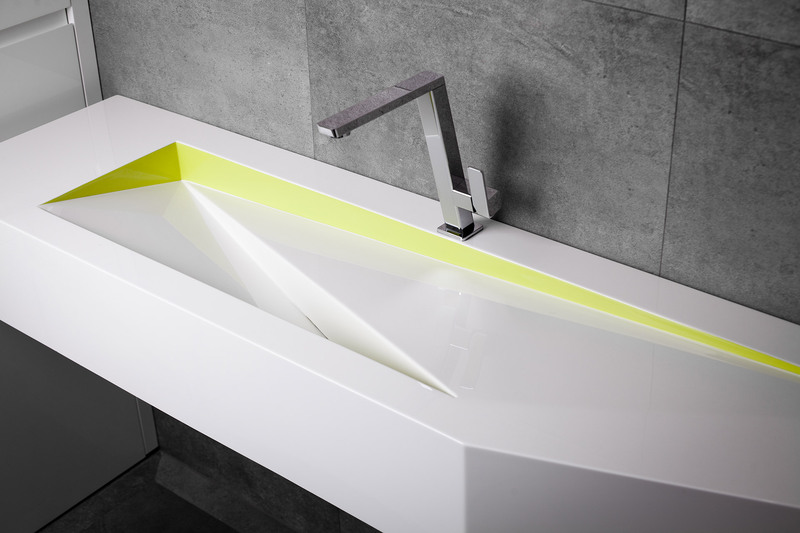 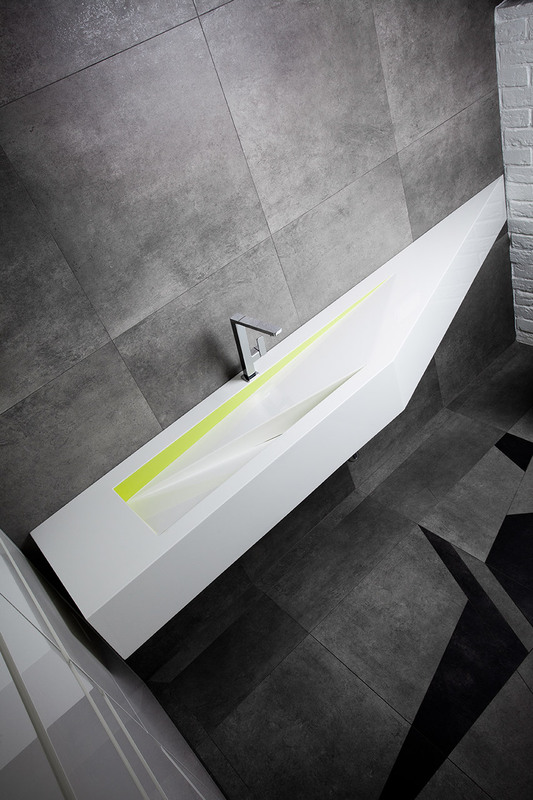 The Limkat wash basin is a modern, unconventional form, designed in the Estetica Stealth style. 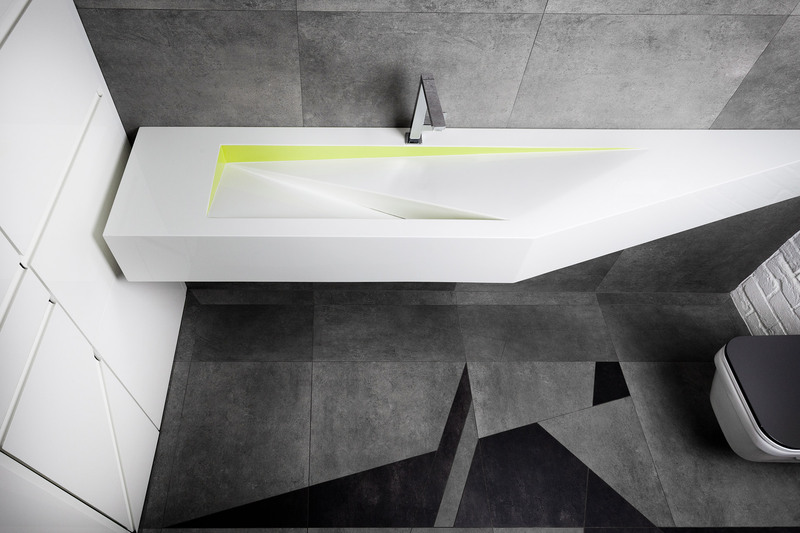 The original shape formed by two triangular planes, which by proper inclination function as water drainage. 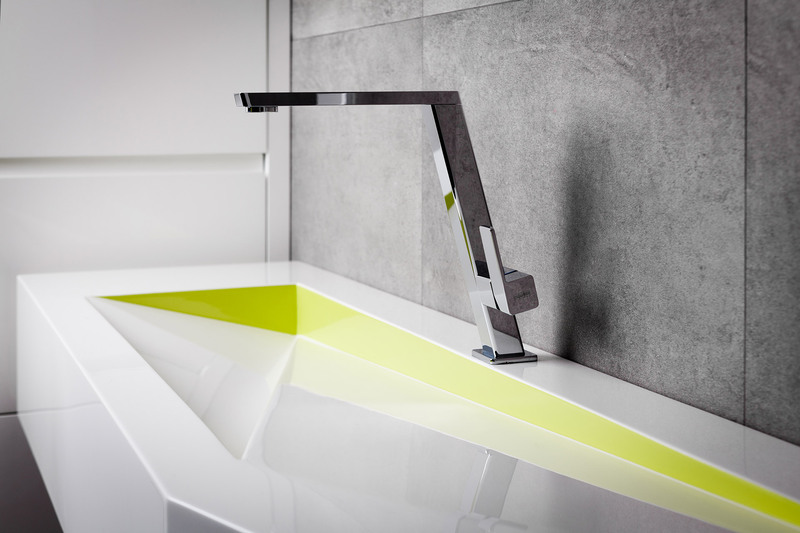 Playing with colours and the reflecting light further accentuate the sharp form. 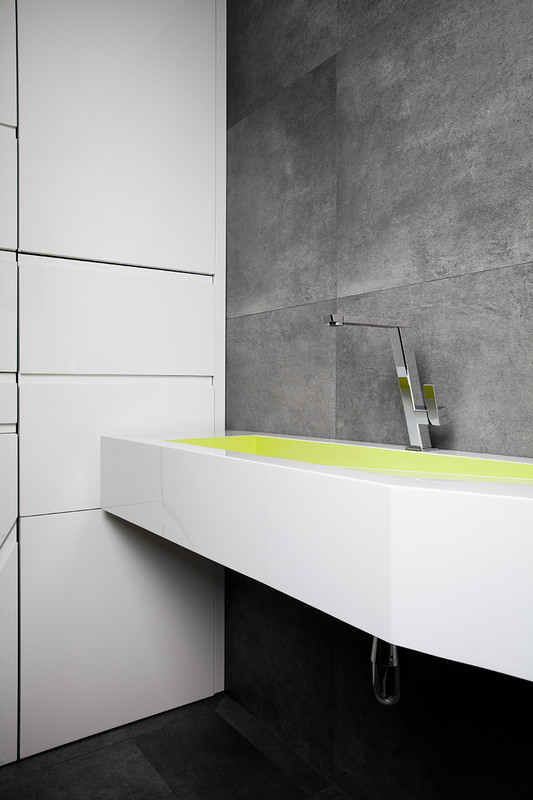 The monolithic form is manufactured using fiberglass and is covered with gelcoat for a solid, smooth finish. 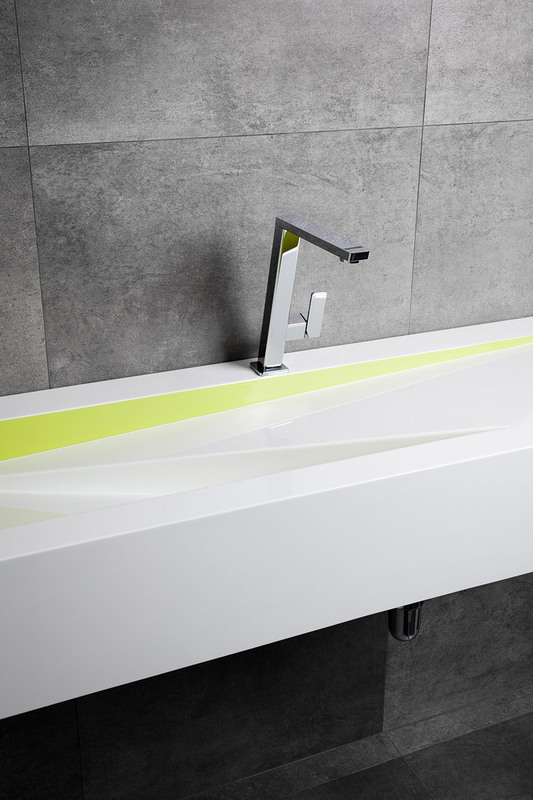 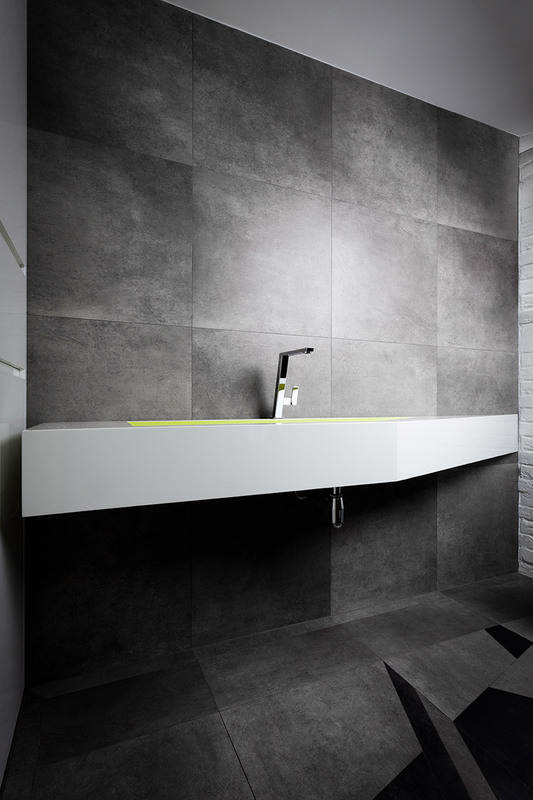 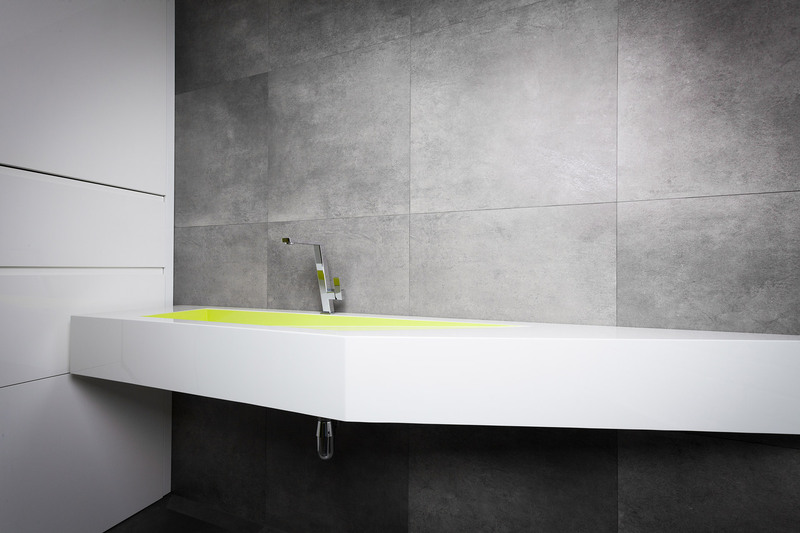 Make it fit into any modern bathroom with the availability of various sizes and colours.